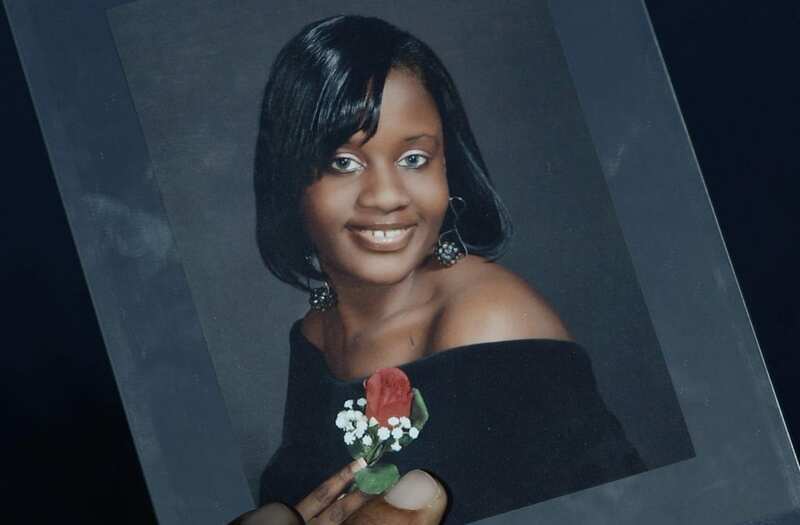 As Brandy Odom was laid to rest Thursday, the NYPD revealed it has yet to receive a single tip in the death of the Brooklyn woman whose hacked up body was found in Canarsie Park. Police officials pleaded for help in the ice-cold investigation into the murder of the 26-year-old Odom. “In this particular case we have yet to receive one tip,” Chief of Detectives Dermot Shea said. Odom’s dismembered body was discovered in a wooded area of Canarsie Park on April 9. Detectives suspect that Odom was killed somewhere else, then dumped inside the park. NYPD Chief James O’Neill said he remains confident that investigators will solve the case. The NYPD’s plea for help was issued at nearly the same time as more than 300 mourners poured into Brown Memorial Baptist Church on Gates Ave. to pay their final respects to Odom. The young woman’s white casket sat in front of a large portrait of her, surrounded by three wreaths of all-white flowers. “I’m wearing white today because my angel is in heaven," her mother Nicole Odom said before the start of the service. The funeral program featured a heartbreaking letter that the mother wrote to her daughter, affectionately known as Chocolate. “Growing up, you were always such a girly girl,” it read. At the funeral, one of Odom’s former guidance counselors at Brooklyn Democracy Academy said the polite young woman longed to become a school safety officer. Anyone with information about the case is asked to call the CrimeStoppers hotline at (800) 577-TIPS.